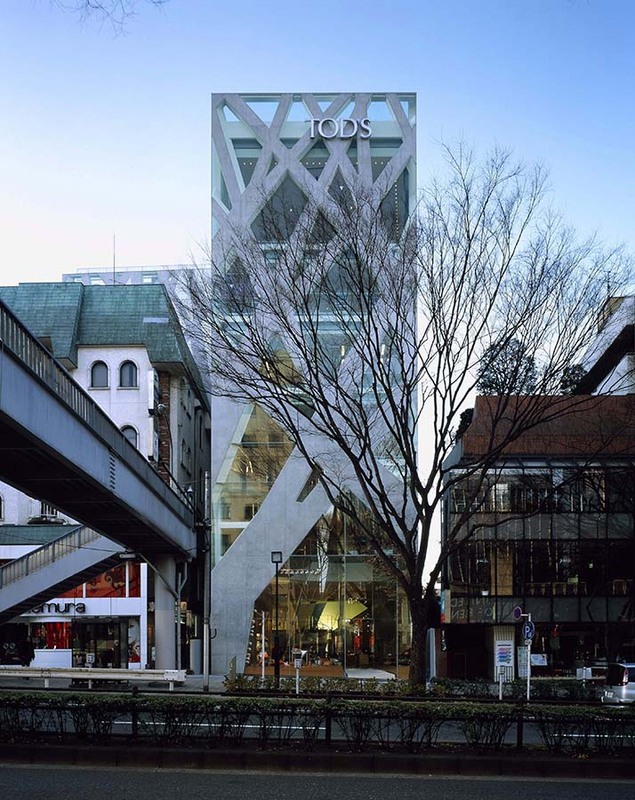 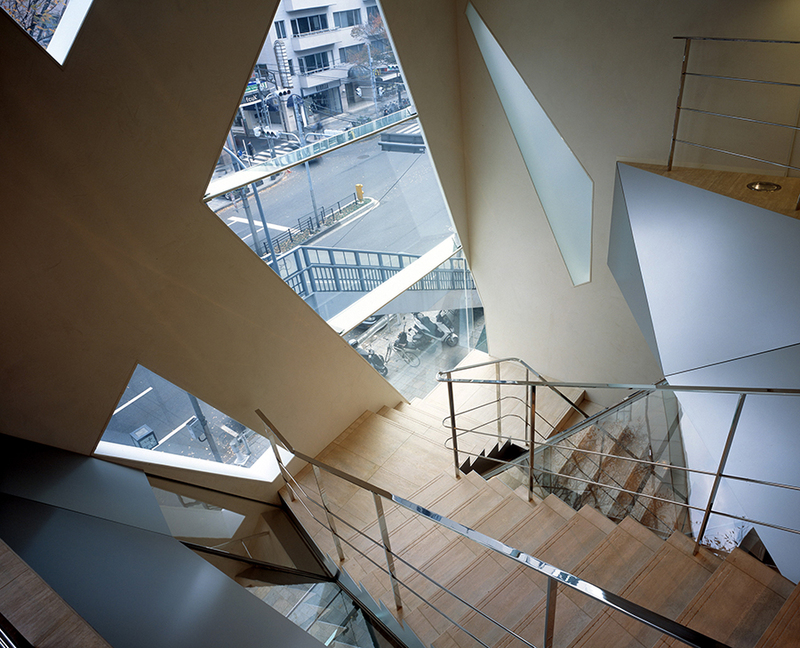 This is an intriguing Japanese store design by one of the most celebrated architects in Japan. 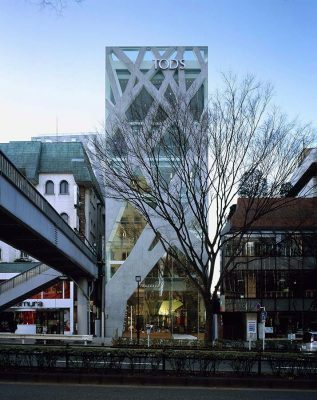 The Shibuya-ku store building is characterised by the criss-cross facade structure, an unusual hatched treatment of solid and void. 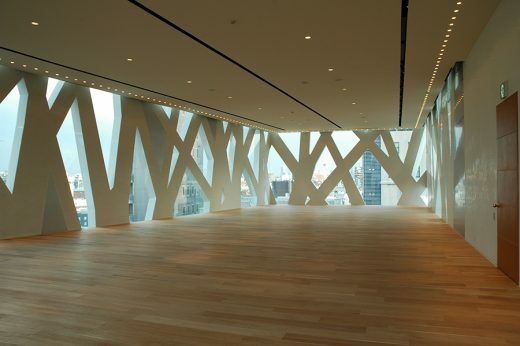 The building is located in Yoyogi 01/05/15, Omotesando, the famous tree-lined avenue and the most prestigious shopping street Tokyo in the Aoyama district, Japan. 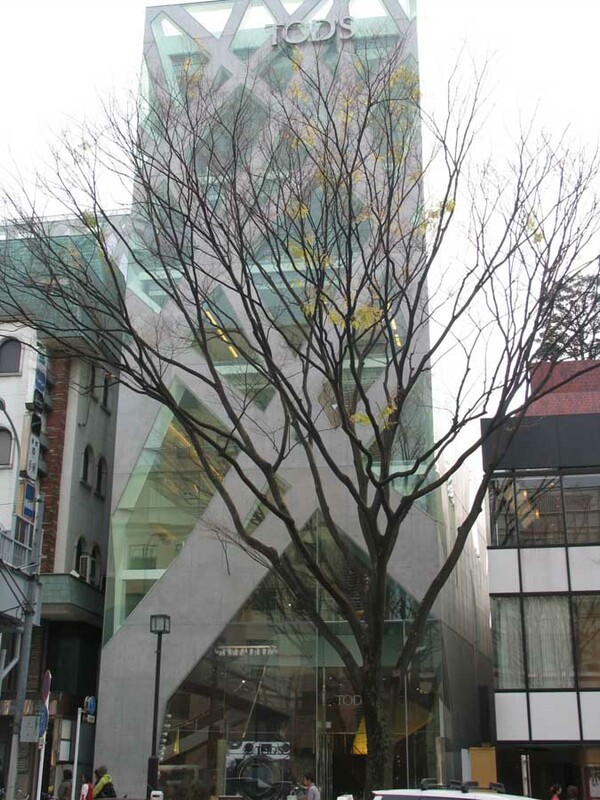 The building is surrounded by a skin of interlocking concrete supports and glass, mimicking the trees lining the street.